This last two years in my HydroVeg - Hydroponic garden. We have grown some fabulous green vegetables. 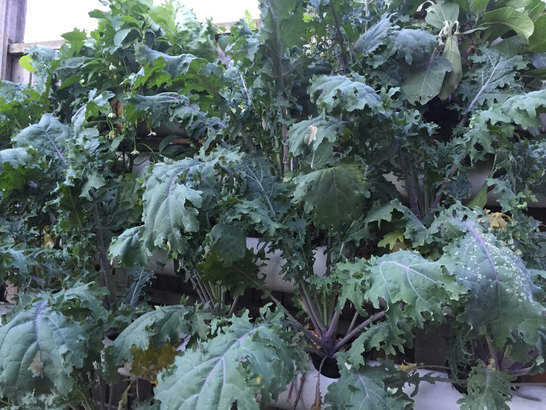 Kale – (by the bucket load winter and summer), Spinach (everlasting variety) which serves us through summer, autumn and into winter, purple sprouting broccoli and chard, and many other treats. People think that you can only eat parts of the vegetables. Cauliflower is a great example, we generally only eat the floret and discard the stalks green and centre piece. Even if you think the stalks are too big and tough, you can still eat the green leaves down the sides of the stalks. The centre white bit is fabulous when thinly sliced and steamed too. Actually, I love eating this bit raw. Its good for your teeth and full of goodness. But what about the other greens? With the kale and chard its easy, cut off the leaves, steam or lightly boil. The stems from shop bought kale can be a bit tough, but the stalks on the home-grown version are really good to eat and nutritious too. We are growing loads of purple sprouting broccoli in our HydroVeg Kit this year. We have cooked and eaten the leaves from the purple sprouting broccoli. What an absolute joy that was!! I think we will struggle to grow the actual broccoli as the taste has been that good my partner has decimated the crop!! I have been so amazed by the colour taste and texture, it really overtakes spinach (which we also grow) as that gets all limp and gloopy when steamed. 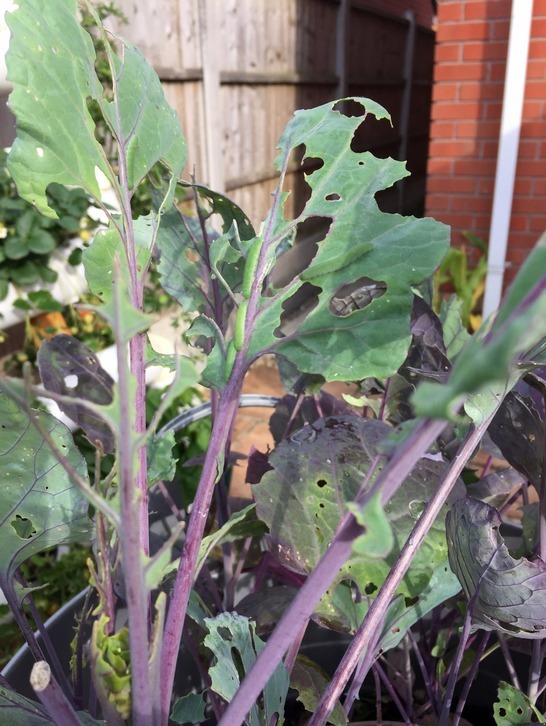 EATING PURPLE SPROUTING BROCCOLI LEAVES! These leaves are terrific in food. 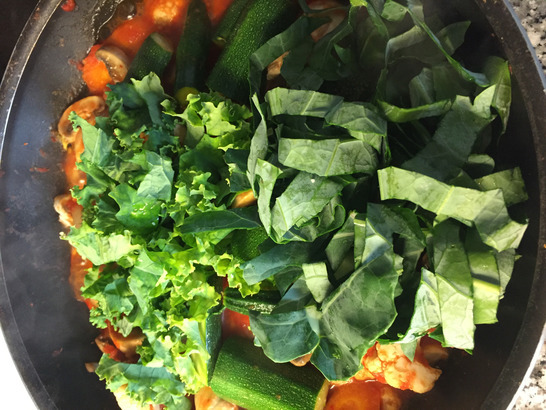 When steamed the leaves quickly go a gorgeous bright green colour, and together with kale create divine colouring to curries, stews and casseroles. Unlike spinach, the broccoli leaves keep their texture. See the picture at the side. As you can see from the picture we put ours on the top of a curry or casserole, put the lid on and just let it steam for 2/3 minutes. Then mixed in or leave the on the top for fabulous colouring. You can also slice them up and cook them in a pan with a little bit of olive oil, you could add ginger, crushed garlic or minced onions. Great to add to diced chicken, or ham to make a complete meal. Add red chili flakes, salt or pepper to suit your taste and serve hot. I like to crush a couple of garlic cloves and let them warm in the oil before adding the greens. The whole crushed cloves lend a soft garlicky flavour to the greens (rather than having bits of sharp, assertive garlic to bite through if you use chopped), then you can remove them before serving (or eat them). I also sometimes add a scant pinch of chilli flakes, if I’m feeling a little spicy! Try stuffing the kale or broccoli leaves with mince, chicken and onions. Pick the big leaves, blanche them, open them out and stuff them. Try experimenting with other veg and filling with rice or couscous. Role them up tighlt,y smother with a fresh tomato based sauce - you can even try a little bechemel sauce over the top like a lasagne and bake. Delicious!!! No need for pasta or carbs then, full of flavour. As hearty as broccoli and brussels sprout leaves may look, they are quite delicate, their structure softening quickly in the pan, a minute longer than spinach, but they require much less cooking required compared to kale. You can also use a slow cooker for simmering the greens. It can be really convenient as you can throw them into the slow cooker hours before you serve them, giving you time and cooker space to prepare the rest of the meal. The top array of leaves you get from the brussel sprouts is also really delicious, it looks like spring greens but has a distinct brussels taste. These used to be chopped off in the fields and left to rot or given to the pigs, but now good markets sell the leafy tops to. So try them next time you see them. You won’t be disappointed. WHEN CAN I EAT MY BOCCOLI LEAVES? Well in our house we planed the broccoli in our HydroVeg Kit at the end of May. It grew like mad in the water and minerals and we were eating the leaves early to mid July. The broccoli spears are not usually ready for harvesting until January - March, so we need to leave a few leaves on!!! With people favouring more healthy eating over junk food, and conscious of the minerals and vitamins in our food, its useful to know what these fabulous greens can do for our health. 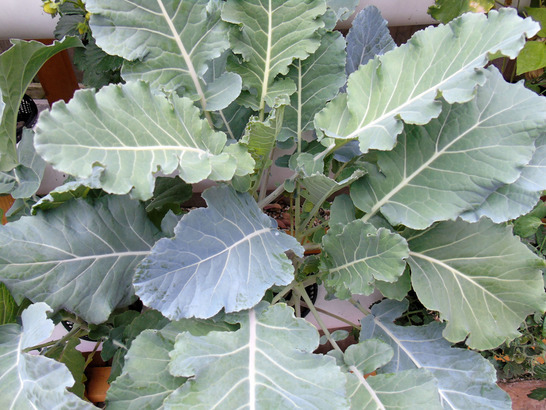 Most of the cabbage, kale, broccoli family are species of Brassica Oleracea. They are all low in calories, high in fibre, no fat. So already they are starting to look good!!. One cup of kale has only 36 calories but 5 grams of fibre, which is great for aiding digestion and elimination (if you get my meaning!!). The green Brassica's are an excellent source of vitamins C, A, B6, E, B1, B2 and B3. As well as a wonderful source of Magnesium, Phosphorus and Protein. We will talk again about the qualities of magnesium in the body another time. However, as minerals are getting depleted in the soil we are slowly loosing many of the vitamins and minerals we used to have in our food. Many years of commercial farming, food processing, mining, irrigation, pesticides, synthetic additives and acid rain have destroyed and removed the life-giving minerals from our soil. Mineral deficient soils are then used to grow and cultivate our food. Obviously, if the life-giving minerals are not in the soil, they are not in the food and devastatingly they are not in YOU. In Europe alone the soil our food is grown in contains 72% less minerals than it did 80-100 years ago. What can we do about it…well one answer is to grow your veg, fruit and herbs in mineral enriched water in your Hydroponics garden. DOES IT GET EATEN BY SLUGS AND SNAILS? Not yet.. in over two years this has not been a problem for us. Occasionally a cabbage white may pay a few leaves a visit, but this is easy spotted and remedied, but the old arch enemy of ground growing, the slug, the snail and caterpiller doesn’t affect the HydroVeg hydroponic garden, especially as it’s lowest pipes are over a foot off the ground. Take a look at the Brussels sprouts I am growing in soil compared to my kale and broccoli in the HydroVeg Kit. (See pictures at the top). Eaten to death and the Brussels sprouts were planted much later than the HydroVeg. No comparison!! I know which one I will be eating with my meal tonight!! 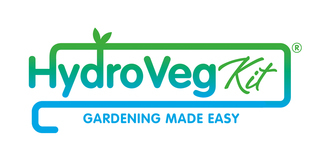 WHAT ELSE GROWS IN THE HYDROVEG - Hydroponic garden? We grow courgettes, kale, beans, peas, tomatoes, peppers, strawberries, herbs, cucumber, lettuce, bok choy, chard and salad greens to name a few!